This video shows a setup program created with DeployMaster being run by a computer novice, who wants to install the software with a minimum of fuss. 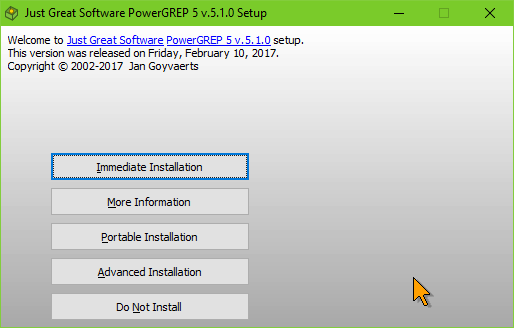 One of DeployMaster's unique capabilities is that it offers the end user the option of installing your software without being asked any technical questions. In this video the installer was started by a user who does not have administrator privileges and cannot obtain them through elevation. The installer was built with the option to allow an installation for the current user without administrator privileges. In this case an immediate installation installs for the current user without a security prompt. Building a Setup Package with DeployMaster (13'16"). This video, even if it is less than 15 minutes long, shows all the steps involved in creating a complete installation program with DeployMaster. Creating your own installers will probably take about 15 to 30 minutes. Are you convinced that packaging your software with DeployMaster will make your prospects and customers happy? Then buy DeployMaster now!. Only US$ 99.